In my week or so of recuperation following my recent period of being unwell, I was offered the loan of a lens by Stewart from Lenses For Hire. The generous offer was a Canon MP-65. My first thoughts? This is going to be a very tough beast to tame. I’ve been playing around today and boy indeed it is. Macro photography (generally speaking) is something I’ve often wanted to try. I mean, how hard can it be? Well the answer is very. I’ve no doubt the lens made it a little bit more difficult (even if it did include a focusing rail, which really does help). Firstly, there is the issue of light. With this lens you can increase the magnification from 1x to 5x. At 5x, the scene to be photographed is pretty much infront of the lens, which means not alot of light is going to get in. I don’t have a ring flash, nor the delicate hands of a light-touched fairy, so I thought I’d stick to a 1:1 ratio, 1x magnification. Even still, the merest fart of a passing cat 25 feet away is usually enough to set flowers wobbling, tripods bouncing. They may look still but oh no, the MP-65 takes every single bit of molecular movement and shows it to you on screen, haha! Of course this is all a gross exaggeration, but in all honesty, yes it’s rather difficult. I started with some daffodils in a neighbour’s garden (with permission of course). No joy, too breezy and I had nothing to keep them still enough. Back indoors I tried a few other things, but nothing stood out. After going to my mum’s this afternoon I came away with a few handpicked flowers to photograph. Yes, my wife duly noted too that it’s supposed to be me taking her flowers on Mother’s Day, not leaving with them. Still, I got home, cleared the dining table and put all my ‘crap’ back (Wife’s words, not mine). Attempted to pose the flowers and light them with an off-camera 430 flash, a lamp and a reflector too. Not easy, especially when the cat farted. Camera shake is a massive problem, and I’m not a creature with the lightest touch I’m comfortable to admit. Nevertheless, I came away with a photo I don’t mind. It’s passable. It’s nothing I would print or do anything with. It wouldn’t have even been processed and displayed on the internet had it not been for the fact I had to come away with *something* from this lens. It’s been fun trying to get something out of it, but I’m not sure if macro work is for me. Anyway, here you go, a poor shot, roughly tarted up and polished to show everyone that I actually did something with this lens. 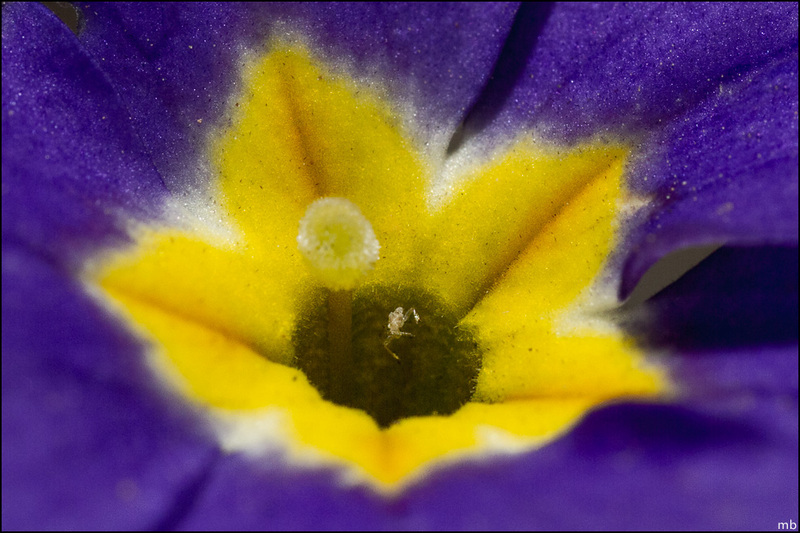 And no, I didn’t even notice that tiny little spider in the middle until I was processing it. I even went back to the flower and I’ll be buggered if I can see it!